Well, this past month has just flown by! We've been so busy. At the beginning of the month, I watched our four grandchildren while their parents went on a Hawaiian cruise. Everyone had a good time. This was their first cruise together and they really enjoyed it. It was also the longest time they had been away from the kids since the first one was born six years ago. All the grandchildren were fantastic and I really enjoyed being with them. We just got home from a four day motorcycle trip with a bunch of friends. Most people wonder if I ride on the back or ride my own. I ride my own motorcycle. It's a very shiny white Harley-Davidson Heritage Softail and I love it. 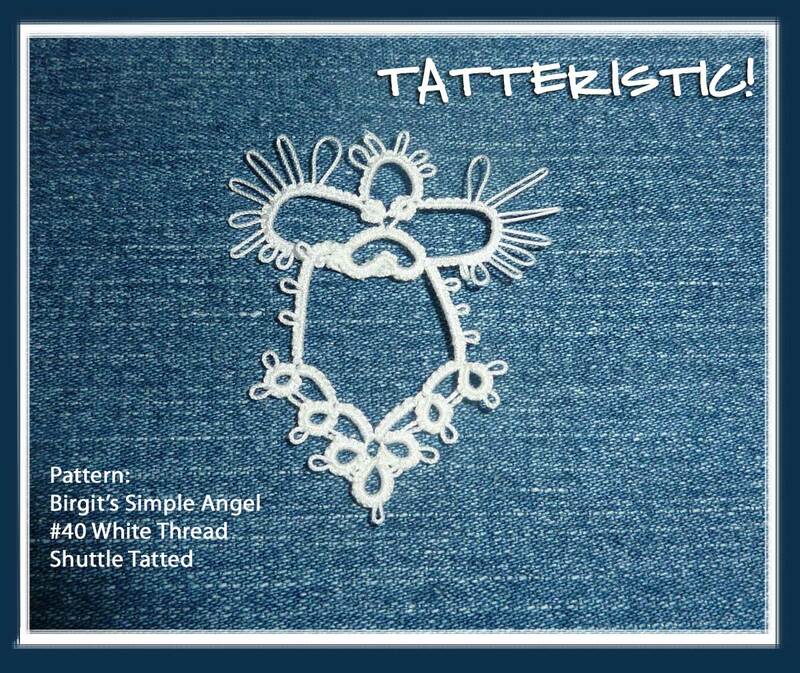 But even with all the stuff that has been going on, I've still been able to get some tatting done. One of the things I love most about tatting is how portable it is. I pack it in my motorcycle bag and take it with me everywhere I go. I made two bookmarks for the friends who put this four-day trip together and while we were gone I was able to make a third one just to have as an extra. One last thing. I just bought an embroidery machine! I've never had one before so I'm very excited about it. I love to sew all kinds of things and I know this will be a lot of fun to use. I can embroider on clothing or pillowcases or quilts and with all the grandchildren (8 plus 2 more on the way), I'm sure it will be well worth the investment. Well, I have lots to do so enough writing for now. 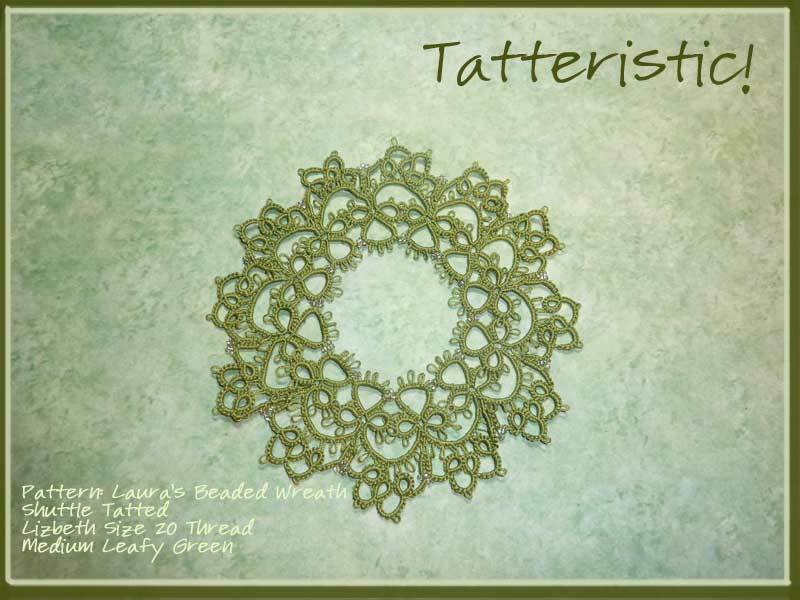 I'll post more pictures later - some tatting, some embroidery, and maybe even some motorcycle pictures if anyone is interested in seeing them. 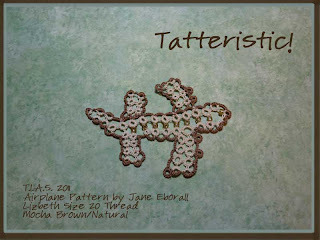 Like so many other tatters, I love Mary Konior's patterns. 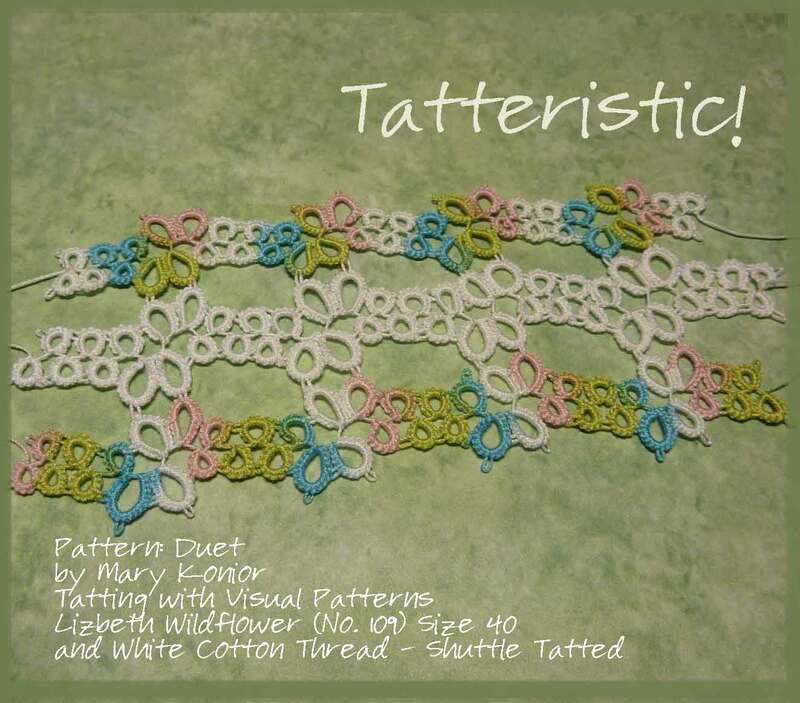 This is Duet out of the Tatting with Visual Patterns book. The pattern consists of rings only and for the book, it was done with two rows but I added a third row to contrast the plain white center row. 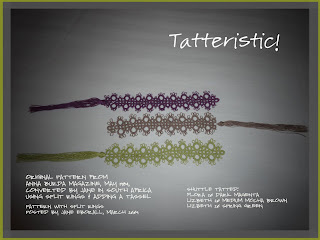 Her patterns are lovely and I will be tatting more of them in the near future. If you click on the photo, you'll be able to see it full-size. It's a little late on Valentine's Day to be sending gifts but I finished a heart motif that I wanted to do for Valentines so here it is. 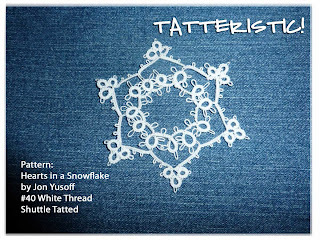 Instead of tatting a simple heart, I used Jon Yusoff's Hearts in a Snowflake so that I can add this snowflake to my collection of flakes that will be sent for use on the Palmetto's Tat Day's fundraising quilt. 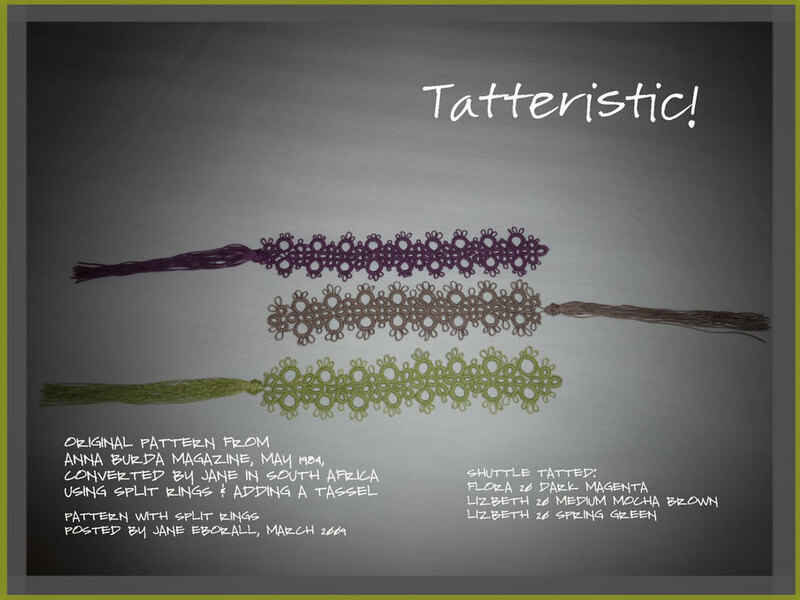 I've never had a chance to attend any of the tatting conferences so I'm going to try to make it this year to Palmetto's Tat Days. I'll keep you posted on my progress of getting that confirmed. 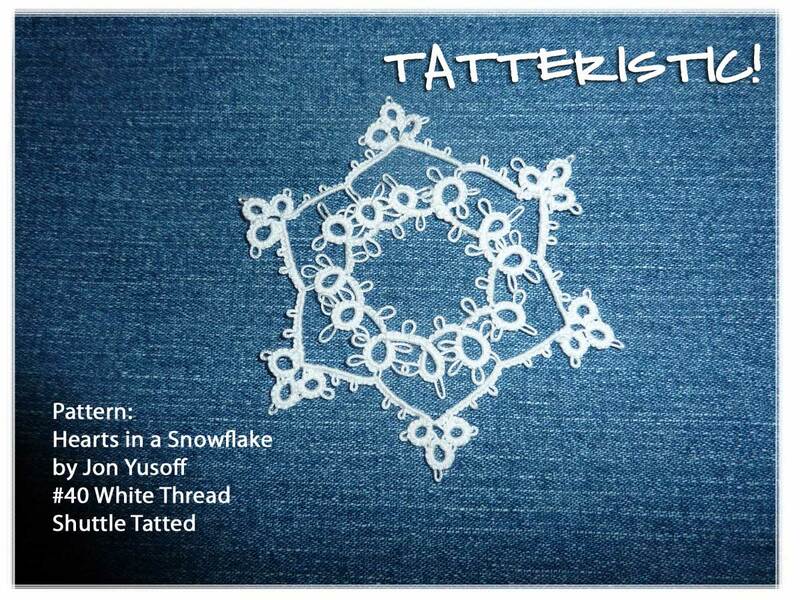 Jon's snowflake tatted up so quickly that I also did Birgit's Simple Angel pattern just for fun. 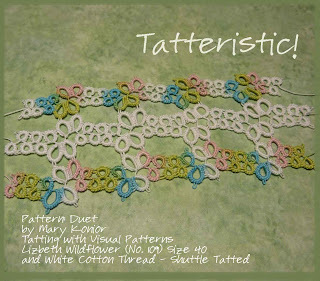 I enjoyed making both of these motifs and am looking forward to making more snowflakes for the quilt. 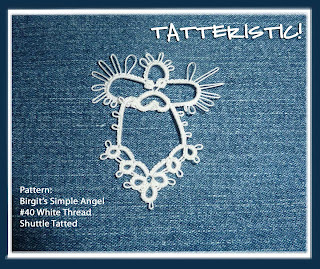 A belated but heartfelt Happy Valentine's Day wish to all of my fellow tatters. I hope you were able to spend a little special time with your loved ones! They don't have anything in common other than being finished during the same week. I know, what a letdown, huh? Sorry. The second item I just finished was Jane's Tat It And See (aka TIAS). She had all of us guessing until the very end and I was very surprised to see that it turned out to be an airplane. 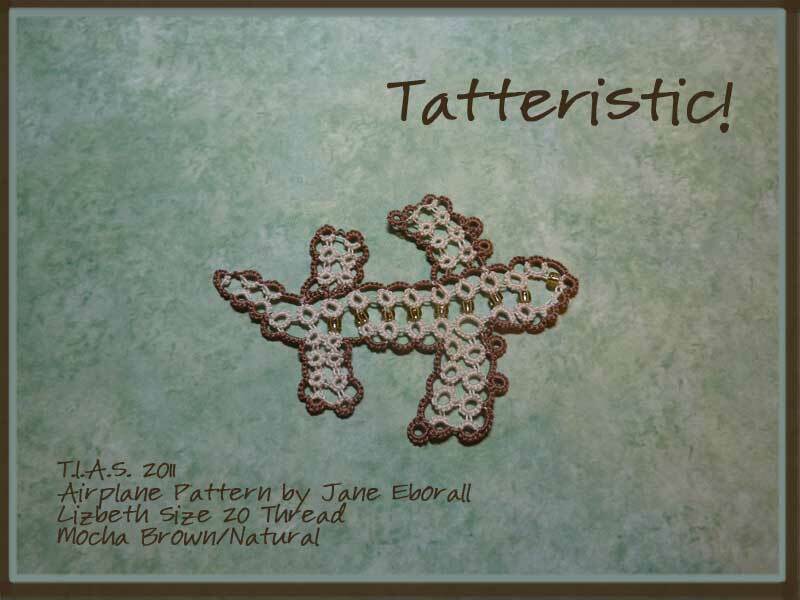 I know Jane loves critters and I was sure it was going to be an alligator. Oh well, that's part of the fun doing her TIAS motifs - you never know what it is until it's done. Thanks Jane for another wonderful TIAS. It was fun! Happy Valentine's Day to everyone. I think I'll go tat a pretty heart to celebrate.